Wet Cash Comedy! Free Beer, Free Show for Charity! GigsBrooklyn Gg S Social Trade And Treasure Club Wet Cash Comedy! Free Beer, Free Show for Charity! 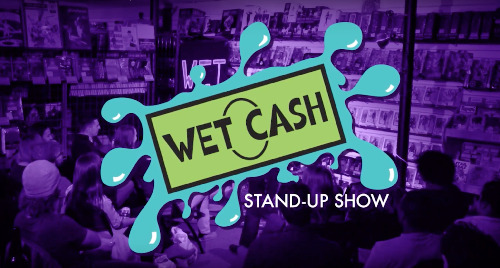 Wet Cash is a weekly free standup show with free beer that features the best comedians in the country, most of whom you've seen on TV. Plus, at the end of the night, we give out drippy wet dollar bills to one lucky person in the audience! We're back this Friday at GG's Social Trade and Treasure Club (1339 DeKalb Ave) at 7:30 PM, and we'd love to see you there! There's a suggested $10 donation, and all the proceeds from the show go to Make The Road (https://maketheroadny.org/). Come see why we're being talked about by Vulture, Thrillist, and all your coolest friends! For our show this week, we've got a killer lineup!